We strongly advise that you sleep your baby on their back for all sleeps, day and night. Babies sleeping on their tummy or side are at a higher risk of SIDs. Babies should always sleep on their backs. In the past, babies were put on their tummies to sleep. However, the advice changed in 1990 to sleep babies on their backs. 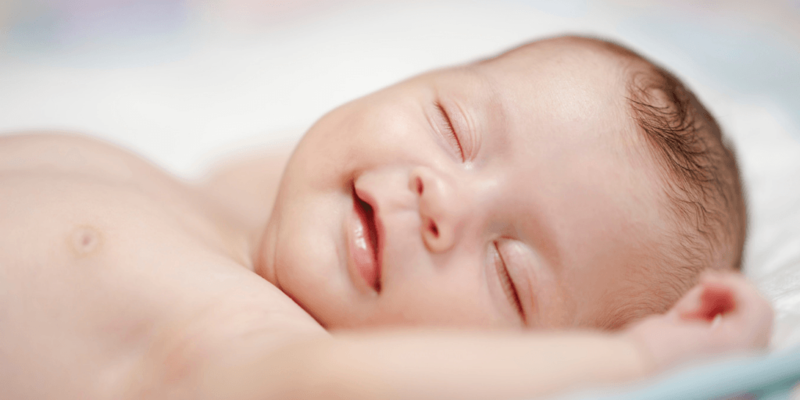 Evidence shows that one of the main reasons why sudden infant death dropped by more than half between 1989 and 1992 was due to this change in advice. We advise you to sleep your baby on their back from day one. This will help them get used to the sleeping position. Babies should always sleep on their backs. What happens when my baby learns to roll? It’s understandable to worry that when your baby starts to move more and learns to roll, they will find start sleeping on their side or front. We would advise gently turning them back the first few times they roll onto their tummy. However don’t feel you have to get up and check them all through the night! When your baby is awake, some tummy time can help their development. Just ensure you are there to supervise them. If you have any questions or queries about safer sleep and co-sleeping, or need further advice on why babies should always sleep on their backs, please feel free to get in touch at info@littlelullaby.org.uk. You can read and watch more young parent stories on our website.